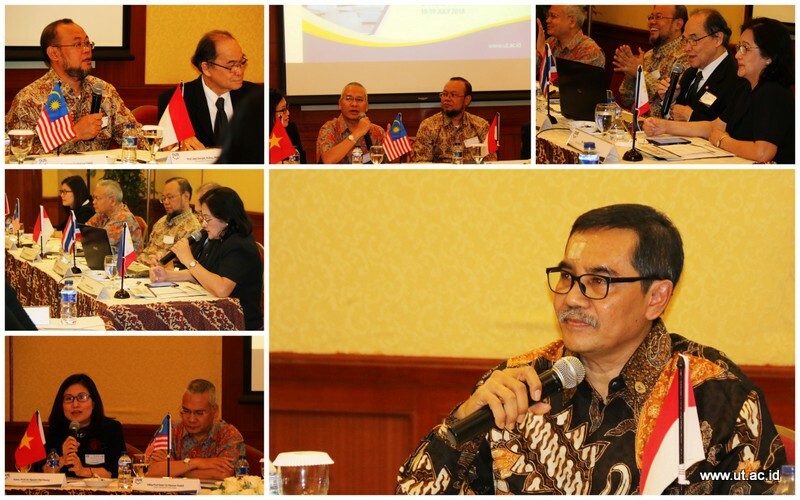 Indonesia Open University (UT) once again hosted an international event. In this event, UT is the host of regular activities of 5 Open Universities (OU5). The theme of this activity, called OU5 President and Research Group Meeting, is on “Strengthening OU5 Research Collaboration and Partnership”. Indonesia Open University House or Wisma UT is selected as the activity venue which runs for two days, July 18-19, 2018. OU5 is a group of 5 Southeast Asia universities that concentrate on distance learning education (PJJ). The 5 universities comprise Indonesia Open University (UT), Open University of Malaysia (OUM), Sukhothai Thammathirat Open University (STOU), University of the Philippines Open University (UPOU), and Hanoi Open University (HOU). They agree to form an organization which objective is to collaborate in various fields of science. This group regularly holds a number of meetings on research development in various fields similar to that they are currently holding for two days. At the opening ceremony of the meeting, Indonesia Open University’s Rector, Prof. Ojat Darojat, expressed his gratitude and appreciation to the attending officials and researchers from those universities. In that opportunity, he also explained a number of issues regarding the follow-up actions as a result of the OU5 previous meeting. He hopes that this 2-day meeting will come up with good results where there will be some research innovations that can be conducted together. The high-rank officials from other universities, such as Prof. Dato' Dr Mansor Fadzil of OUM, Prof. Chaiyong Brahmawong of STOU, Dr. Melinda F. Lumanta of UPOU, and Assoc. Prof. Nguyen Mai Huong of HOU also expressed the same. Some of them talked about the current trend and issues in education and their potential steps which would become the possible solutions. In such opportunity, UT also invited Director General of Research Empowerment and Development, Dr. Muhammad Dimyati, in order to give his directions.